​What’s better than a good story? A story with a message! 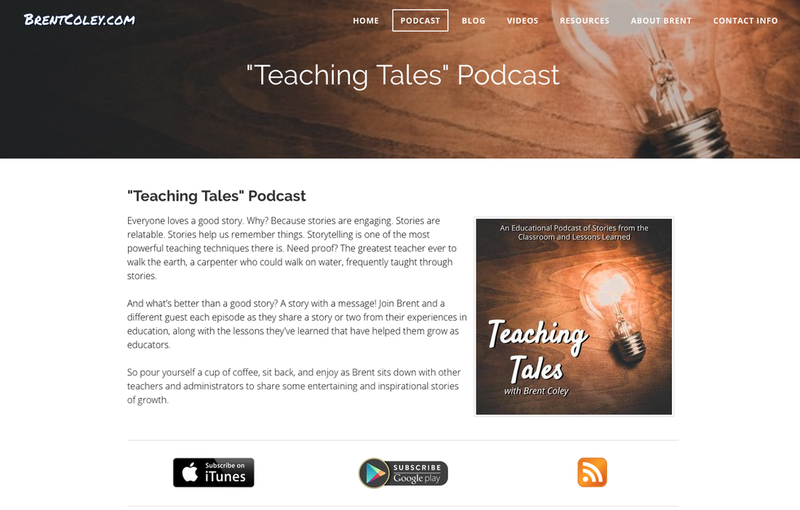 Join Brent and a different guest each episode as they share a story or two from their experiences in education, along with the lessons they've learned that have helped them grow as educators. So pour yourself a cup of coffee, sit back, and enjoy as Brent sits down with other teachers and administrators to share some entertaining and inspirational stories of growth."